The laments about too much homework – as well as laments about too little homework – have existed as long as the idea of schooling itself. Today, as the majority of researches across the US schools show, the amount of assigned homework is on the rise. It increases both in pre-K, first years of learning and in high school altogether. So maybe it is a logical consequence of scientific advances and complicated reality we have live in? It may be so, but the problem is that too much homework does nothing to improve students’ chances in the modern world. Instead it creates palpable negative effect on students’ health and family atmosphere. Before we delve into details, it is worth looking at roots of this homework hysteria, to put it bluntly. As one impressive scholarly investigation explains, the loads of home assignments were always going through the same circle: more tasks – less tasks – more tasks – less tasks, and so on. The rise in home assignment loads in the 1950 was linked to the Cold War and competition with the USSR, then hippie times saw the more relaxed attitudes, then came competition with East Asian students strong in math, then came some relaxation, and now it is high time for American learners to compete with more successful European students (who said that by the way?). And so we witness another rise in home task loads. But why? Too much homework is connected to little difference in academic performance, while individual tasking and overall social well-being of students matter most in their academic achievement. Since nothing is done to improve the mentioned conditions on the federal, state or local levels, the overwhelmed teachers face the only choice: make students learn more on their own. So the education system tries to improve its outcomes at cost of struggling overburdened students and their frustrated parents. A gloomy picture, isn’t it? Now it is time to question it and make changes. How Much Homework Is Given in High School? So one day you thought: “I have too much homework” and started browsing the web in hope to get help or at least find an explanation why this is happening to you. In comparison with 1980s the current load of homework doubled and even tripled in some US communities. The levels of home tasks differ around the states and districts, but in the top schools which serve as benchmarks teachers giving too much homework is a new norm. So the students who are taken as examples of what a perfect student should be like spend 3 to 4 hours on doing homework daily, five times a week, plus weekend homework as a separate ‘treat’. Thus, you sit 6 to 7 hours at school, come home, take some time to relax, and then come back to the evening full of additional school work. No time to have fun, see friends, pursue creative fits, watch TV or snuggle up with mum or a favorite pet. Just work, work, work, neither paid nor significantly beneficial. Is that normal? No. Is that useful? Doubtfully. So why does that happen? Because the school system is imperfect and because teachers also struggle to meet standardized requirements, no matter what it costs their students. The regular answer on their part to home task complains is that you or some other kid just cannot manage their time properly. Surprisingly, if an adult faced the same system in the workplace – full daily work plus obligatory work in the evening – they would sue the employer and win the case. But somehow this comparison evades teachers and school principals when it goes about teens, who are more vulnerable than adults. Is Too Much Homework Bad for You? It is obvious that this extreme burden that cannot be avoided or delegated must cause a significant amount of harm, and it does take toll on a developing human being, that is, a child. Unsurprisingly, difficult homework produces stress and physical suffering for students. They complain of – and are officially diagnosed with – sleeping difficulties, depression, headaches, and stomach ache. They also have obesity troubles and many more health disorders that accompany their forced seclusion for home learning. And yes, homework chips away at sleep time as well. You have definitely experienced some of these troubles. But surprisingly, so much homework worsens test scores, too. Yes, we have put it right: instead of providing academic boost it hinders academic performance. National tests show that students who get no or little homework show slightly better results than students who deal with loads of homework. It happens because you and other students do not have proper time to rest, eat and sleep. You just perform often meaningless or too challenging and complex work without having time for yourself. Is Homework Too Stressful for Students? Yes, it is. Along with physical and moral troubles that it causes, it also disrupts normal family life and interferes with unscheduled activities and free time of the students. In theory, you and your friends have the same right to rest as adults do, but in reality, school consumes all your time including those bits of time that remain after dinner before going to bed. It leads to predictable outcome: you get isolated from peers, secluded in your room with books and worksheets, distressed about not turning it in tomorrow and about not preparing for an upcoming test. This is lack of life and work balance at its best. This is how social anxiety and alienation are born. Really. So abundant homework causes all sorts of calamities instead of fulfilling its direct duty: helping learners do better at school. Homework fails you as a student in this issue as well. How Does Too Much Homework Affect Students? So how much homework is too much? Maybe we are just unfair in our evaluations? Well, many scientists agree upon the following formula: 10 minutes multiplied by a student’s year. For example, first-grader should get 10 minutes of homework per day, fifth-grader should spend 50 minutes on homework, and 11-year students should face 110 minutes of homework, which is slightly less than two hours. If you spend 3 to 4 and more hours every day to cope with homework you are obviously overburdened. Besides, after 2 hours usefulness of homework begins to decline rapidly, so the remaining hour or two is time wasting. This is not to mention that only high school students get some benefit from this work, young children do not benefit at all and they are better left to play with peers. So from all viewpoints extremely large homework affects you negatively, but there is little you can do to oppose it. But still there are some solutions. You can talk directly to the teacher and explain that daily homework accumulates into unbearable loads, because different teachers do not tend to coordinate what they assign for the same day. Next, you may ask your parents to set up a meeting with teachers and voice concerns from the viewpoint of adults. These concerns are harder to dismiss than what a grumpy kid may have to say. And finally, you can do as adults do, and just delegate tasks you cannot cope with alone. 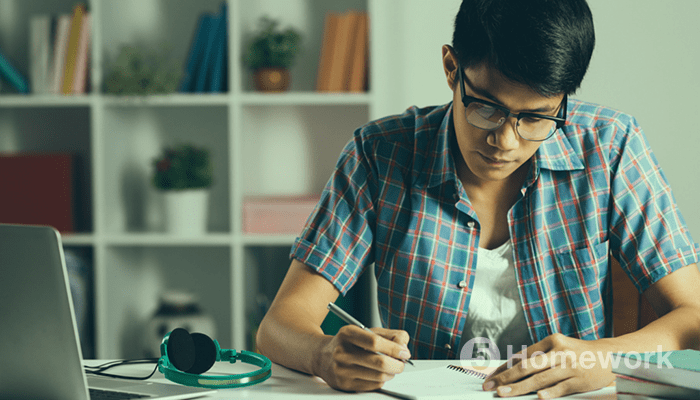 Our company 5homework will gladly take a share of your burden and turn it into an excellently completed homework without your involvement. If teachers cannot coordinate their assignments and deal with this problem, than it is time you took care of it. Entrust us with written assignments of all sorts, online quizzes, presentations, speeches, research projects and be sure that you will turn them in in time. A lot of homework does no good but brings all kinds adverse effects to their health and mental well-being. In most cases it neither improves your grades nor helps you master something better. It just eats away your time and leads to arguments with parents. Although this uselessness of homework is long proven, teachers do not haste to reduce it and give more and more work instead. So you have to find the way out, and we at 5homework.com are here to help. We know how hard the life for modern senior students is and we will not let you down, like that big unwanted project assigned for a much awaited weekend does.